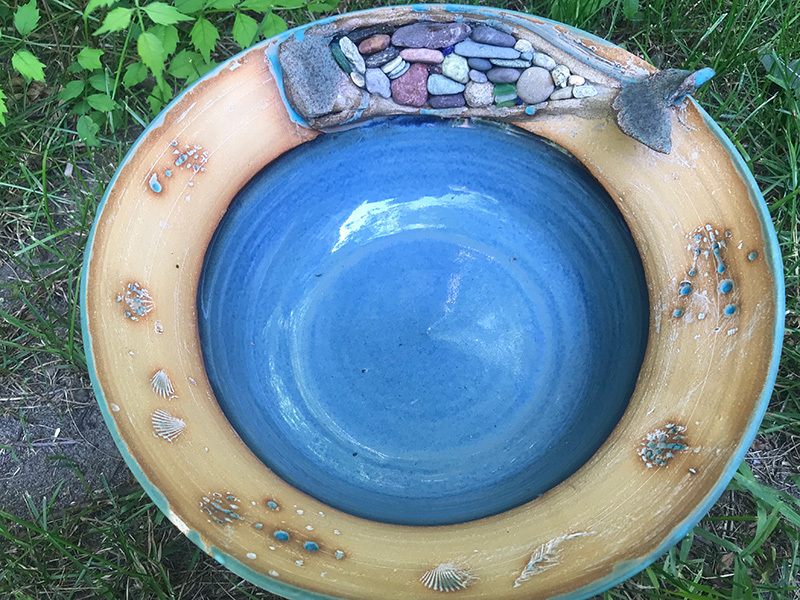 Island potters Heather Goff and Bill O’Callaghan will join forces for an exhibit at the ART Gallery in Oak Bluffs, opening Thursday, August 30. 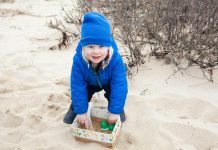 The ART Gallery is underwritten by the Martha’s Vineyard Center for the Visual Arts. Goff has returned to pottery after a career in website design. Before moving to the Vineyard, she lived off-Island in Mattapoisett, and created ceramic tiles. Since arriving back on-Island, she’s built a pottery studio, and has returned to making tiles. “Now that I have a studio,” she says, “I’m resurrecting some of my favorite tiles.” Available for the first time are Goff’s 12-inch-square carved tiles that can be hung like pictures on a wall, as well as being installed in kitchens, bathrooms, and other locations. Many are of Vineyard scenes, including Brookside Farm and the Keith Farm overlook. A new design, Dragonfly on Koi Pond, won first place at the recent Agricultural Fair. The inspiration came from her sister’s koi pond. These tiles are three-dimensional, with colorful green dragonflies, orange koi, and pale pink lilypad blooms in a dynamic composition. Also on display will be Goff’s rooster, marching in front of a landscape with a house and framed with trees, grape leaves, and clusters of grapes. Again, the tile is full of movement. 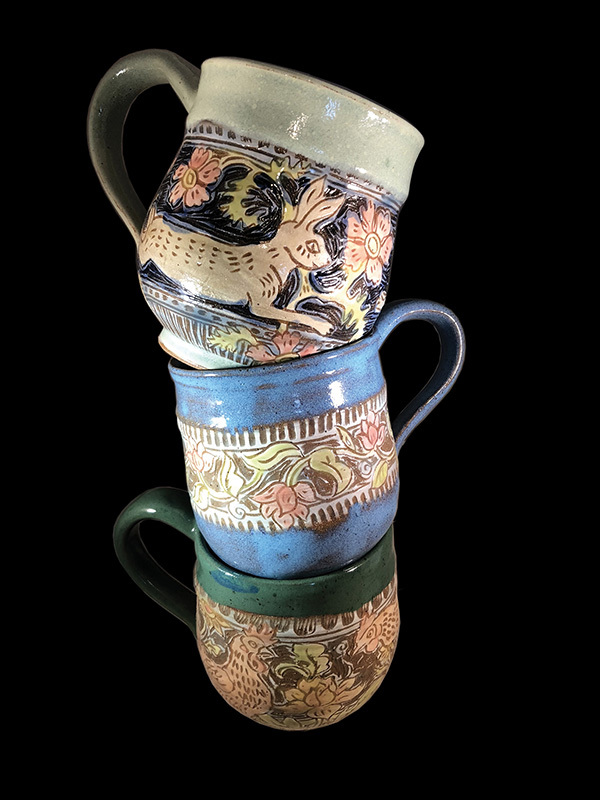 Her bowls and mugs are richly decorated and have bands of color across the top. Goff will serve her homemade bread and scones at the opening. “Potters generally like to bake,” she explains. A native of Cork, Ireland, Bill O’Callaghan, also known as the Mad Potter, has lived on the Island for 30 years. 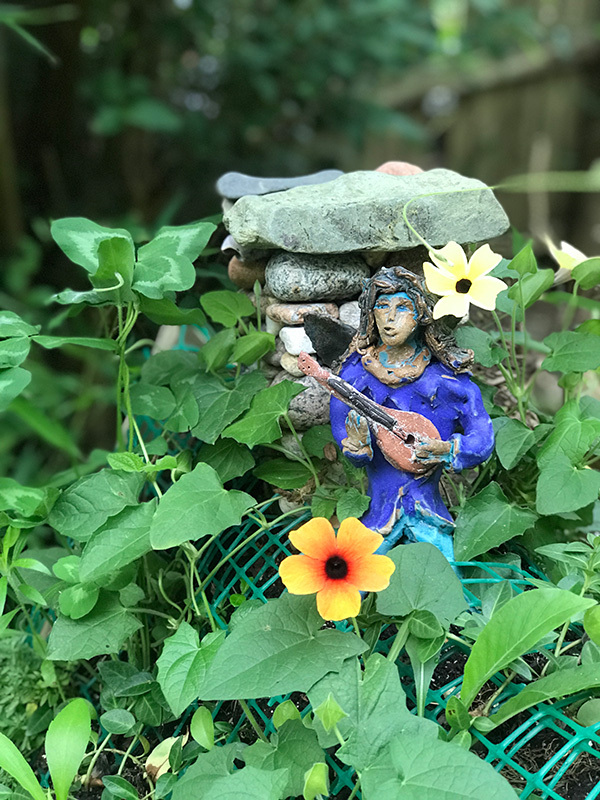 His studio is in Vineyard Haven, where he has a fairy garden made of wood as well as pottery and filled with bright blue butterflies and turrets. It is open to visitors. At the upcoming show, he plans to show bigger pieces and hangings. Although he started out with Celtic designs years ago, his subjects now are Island and fantasy scenes. “I just basically have fun with them,” he says. His Fairy House with a roof of flowers and plants won Best in Show at the Agricultural Fair. Recently he has been doing more sculptural work and photography. He uses his photographs to illustrate his pottery, and they include people dressed up in fairylike costumes. His photos have been on display at the MVTV gallery with driftwood frames. Some are richly embossed with stones. Mermaids are a favorite subject, along with sculptures of a fairyland tower. In one charming piece, O’Callaghan has framed a fish that is filled with stones. 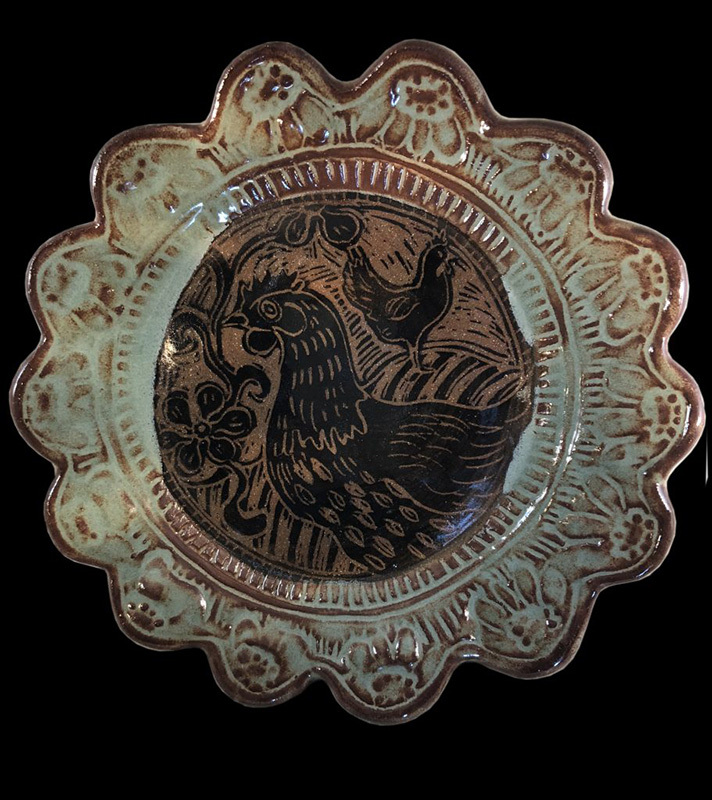 A blue and beige bowl has a similar theme. The artist has given a teapot a dragon-head spout and dragon-tail handle. His work will also be on display at the Artisans Festival Labor Day weekend. Goff’s and O’Callaghan’s works are complementary. Both employ imaginatively figurative themes that take pottery to new dimensions. The exhibit will run through Sept. 5. 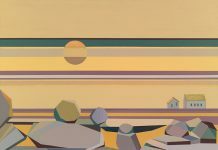 Artists at the co-operative ART gallery are funded by grants from the Martha’s Vineyard Center for the Visual Arts.